Alexandria’s good ‘ole boys rarely admit it, but much of the property upon which Alexandria was established—property north of Hunting Creek to a line approximating present-day Queen Street—was first owned by a female. Margaret Brent, an attorney and femme sole, took ownership of the land in 1654. “She was the prototype of what the nineteenth century calls the new woman,” Harper’s magazine said in 1898. Mistress Brent first asked to vote in 1648. In this the era of #MeToo and #TimesUp, I ask. 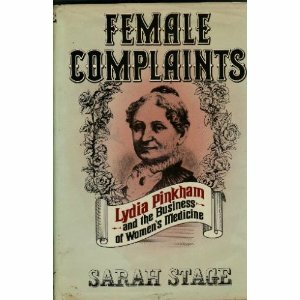 Who is Mrs. Lydia E. Pinkham, the sloganeer who said “The Health of Women is the Hope of the Race?” She was a wife, mother and entrepreneur, a 19th century woman with a 21st century success story. Lydia’s business was born of husband, Isaac’s 1873 financial ruin. Mrs. Lydia E. Pinkham, of Lynn, Massassachusetts, was among the first to market over-the-counter medicines to menstruating and menopausal women. Born in 1819 her home based, family owned firm —The Lydia E. Pinkham Medicine Co.—was only recently sold. 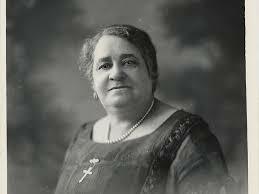 Pinkham’s patented products were vended door to door; then later wholesaled to druggists like Alexandria’s E.S. Leadbeater & Bro. Oprah Winfrey defines luck as the moment when preparedness and opportunity meet. If true, then today’s woman is lucky to be entitled. Mary Katherine Goddard, respected Revolutionary War printer and postmistress published the first printed copies of the July 4, 1776 Declaration of Independence. In 1859 Martha Coston developed a superior system of pyrotechnic night-signals. The Union Navy, at war from 1861 to 1865 was forever grateful she had flares. Twenty-first century professional women can diagnose disease, design a car, and or manage a Fortune 500 company. The modern woman is no longer at home, always preparing for the family meal. She is, at the very least, intellectually self-sufficient. Today’s woman now surpasses man in educational attainment. “Am I saying that women must be liberated from motherhood?” Friedan asked. “No. I am saying that motherhood will only be a joyous and responsible human act when women are free to make, with full conscious choice and full human responsibility, the decisions to become mothers. Then and only then will they be able to embrace motherhood without conflict…not just as breeding receptacles, but as people for whom motherhood is a freely chosen part of life, freely celebrated while it lasts….” Happy Mother’s Day to all! “The real sexual revolution is the emergence of women from passivity, from the point where they are the easiest victims for all the seductions, the waste, the worshipping of false gods in our affluent society, to full self-determination and full dignity,” Friedan explained. “And it is the emergence of men from the stage where they are inadvertent brutes and masters to sensitive and complete humanity.” Harvey Weinstein has yet to emerge from therapy. It is surprising how few of today’s women have broken, or want to break the glass ceiling. Have there been too few corporate role models, too few CEOs or CFOs to guide them? Or is it because women now can achieve greater professional success—more visibility and flexibility—as entrepreneurs? New economy leader Meg Whitman was the first woman to head an e-commerce site, the online auction company eBay, Inc. In 2012, there were 9.9 million women owned businesses in the United States. These businesses employed 8.4 million individuals; generated $453 billion in payroll and $1.4 trillion in sales. More than three-quarters of women business owners are in the service and trade industry: restaurants, physicians’ offices, and management, scientific and technical consulting. Businesses, equally co-owned by women and men, accounted for another $1.1 trillion in sales. 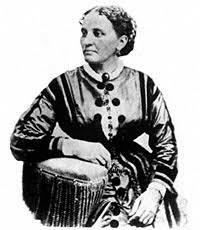 Nineteenth century dressmaker Elizabeth Keckley was a former slave who became an expert designer, bought her freedom and later sewed for First Lady Mary Todd Lincoln. Today Old Town Alexandria touts its female driven Boutique District, a mix of more than 30 retail stores including Stitch and Fibre Space. Carol Supplee’s well-considered, nationally ranked Imagine Artwear opened its door in 1988. Financier Hetty Green (1834-1916) an enterprising Wall Street investor earned a reputation as the “richest woman in the world.” Richmond, Virginia’s Maggie Lena Walker (1867-1934) turned a small African American benevolent society into a thriving bank and became America’s first black bank president. Actress and movie producer Mary Pickford (1892-1972) co-founded United Artists with Douglas Fairbanks, Charlie Chaplin, and D.W. Griffith. Worthy women all! A liberated woman is one who has the ability, the willingness and the courage to make informed life choices, to confidently control her destiny. Women still earn less than men and as presently calculated the gender pay gap will not close until 2039. Those who work full time, year round earn 80 cents for every dollar paid to men. Women of color even less. Aircraft manufacturer Olive Ann Beech (1903-1993) never learned to fly an airplane yet she successfully led Beech Aircraft into the space age.